The ancient village of Pen-hulton was little more than a cluster of cottages prior to the industrial revolution before being filled with large cotton-mills, dyeing, collieries, printing, and bleaching establishments, and becoming one of the most populated areas of the country. 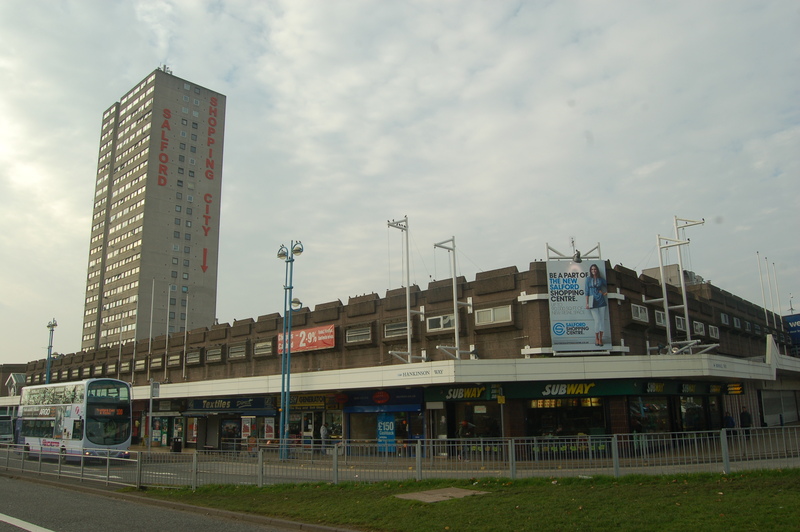 The setting for Delaney’s Taste of Honey, extensively redeveloped post war,the area today is characterised by tower blocks and the Salford City shopping centre.the area is once again the subject of a huge regeneration scheme. A Chapel was founded in Pendleton or Pennelton as it was known then,in 1230 by Richard de Hulton, the Chaplin had to be approved by the Vicar of Eccles. At the dissolution of the monasteries Pendleton was granted to the Bishop of Lichfield before coming into the possession of the Fitzgerald family who remained its largest landowner into the twentieth century. 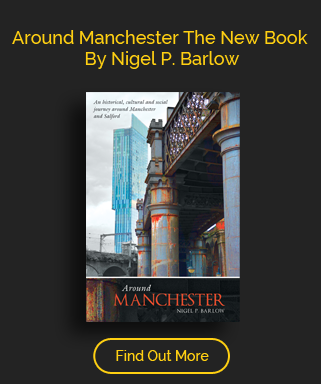 Pendleton became attractive to the new entrepreneurs of Manchester, Hope Hall the original seat of the Hultons and the Radclyffes was owned by Sir Elkaner Armitage, old Claremont, since demolished was the home of the Heywood Banking family, Buile Hill,by Thomas Potter, first mayor of Manchester. Industry began to encroach by the late 1700’s but the township remained for a time a place of weaving and small farm holdings. The Manchester, Bury and Bolton Canal opened in 1795, in 1824 John Woodcock, a toll keeper at the Woolpack Hotel began an omnibus service from Pendleton to Manchester while the railway from Salford to Bolton opened in 1838. Coal mining had begun at the end of the 1700’s, the mine known as Pendleton pit, one of the deepest in Britain continued until 1939. William Douglas set up his water powered hoist mill in 1780 and James Varley and Co opened their bleach and chemical work opposite the coal mine in the early nineteenth century. By the end of the 1800’s Pendleton was one of the biggest industrial towns in the country. With much of the area built on, the Langworthy Road was opened in 1873, all its streets laid out in a grid pattern. After the Second World War, the population of Pendleton began to shrink with slum demolition, and the closing of much of the manufacturing and textile industries.